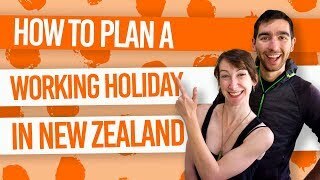 Stay with a local in Airbnb rooms in New Zealand! You want to upgrade to flashpacking but at a backpacker price? Then Airbnb might just be your thing. Airbnb hosts in New Zealand are increasing more and more, especially around New Zealand’s main hubs. Keep these awesome Airbnb rooms in New Zealand in mind when travelling Aotearoa. Airbnb is a platform where local’s list their “spare rooms” online for travellers and backpackers to make use of. Although New Zealand’s Airbnb offerings are mostly at high-end prices, we have found a few budget-friendly gems around the country. Think you can’t afford it? Well, here’s NZ$50 of Airbnb FREE credit so there’s no excuse! 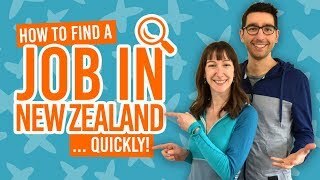 So if you’re looking for a local experience, perhaps your own room, or a break from hostels, check out these Airbnb listings in New Zealand! For more about Airbnb, check out Everything You Need to Know About Airbnb in New Zealand and 10 Tips to Make the Most of Airbnb in New Zealand. There are too many double rooms on Airbnb, don’t you think? Finally, a bunkroom at around NZ$20 per night that is highly rated, colourful and with a location close to Christchurch city centre! Check out this Airbnb room in New Zealand here. Escape east to this retreat near Gisborne. Two guests can sleep in this double room with breakfast included! A good base when exploring Gisborne region. Close to beach, bush and with a sociable host, no wander this pad is so highly rated on Airbnb! Make use of the spa pool, garden and spacious living area. It could be your first on final port of call on the way in or out of New Zealand. Stay in this highly rated single room. If you like dogs, you’re in for a treat. Explore Wellington’s Upper Hutt district from this super stylish home. Ideal for the solo traveller who likes dogs and is keen to meet some locals. Get out of the city centre and view Christchurch from the Cashmere Hills. Make yourself at home and enjoy the gardens in this top rated Airbnb room. Get your own space with your travel mates along the Kapiti Coast town of Paraparaumu. This converted garage has a double and single bed with a garden overlooking Kapiti Island. Great for sunsets! With a dog and cat, you’re sure to be entertained during your stay. This single room is just outside the city centre but is close to mall, shops, bars, etc. Breakfast is included! With a super modern design that will make you feel like the ultimate flashpacker, this home allows you to explore the southern suburbs of Auckland without being too far away from the city centre. This cute and quirky garden shed called “The Tiny Tui” is ideal for the budget traveller. Wander out of your shed to a gorgeous garden, light up the BBQ, and take in the views of the Kaimai Ranges. Experience Auckland’s North Shore with this home in Red Beach, Orewa. This double ensuite room looks out over the Orewa Estuary. You can even go chill out on the deck. For something rough around the edges but a true wilderness escape, try the Eel Pond Hut near Matapouri and the Te Araroa Trail. With cold showers, a bush walk to get there, and no electricity, it is for the true adventurer. It doesn’t get more “country” than this. Up to four people can sleep in the bus, and your host living in the Big Blue Barn is keen to socialise, have a guitar session, bonfires and barbecues. Get a taste of Auckland city life by staying with a few international workers in this flatshare. A great option for your arrival/departure into New Zealand. Beats a bunk bed in the CBD, right? A modern farmhouse designed house in the hills between Tauranga and Papamoa. Wake up to rolling hill views and you’re never too far of a drive away from the city or the beach. A cute place in one of Canterbury’s top holiday destinations. Single beds and a bunk room makes this ideal for solo travellers looking to explore Hanmer Springs. Sleep in this queen size mezzanine in a self-made cabin. A great location surrounded by bush, organic gardens and near the river. If you like pets and socialising, you’ll fit in here. A cool and quirky loft room in Wellington’s CBD. Perfect for the solo traveller looking for something different from the hostel dorm room experience. Learn to live “off the grid” in this small but functional shipping container. The host is often to share alternative lifestyle tips and tricks. Enjoy the tranquility without being too far away from the city. Conveniently located between Wellington and Palmerston North, it’s ideal for a stopover and exploring off-the-beaten-track towns like Levin. This is a highly rated room on Airbnb. Remember to get your FREE NZ$50 credit for your first stay in an Airbnb room in New Zealand.